In the box adapter, charging dock, water tank, mopping pad, English user manual charging dock, power cable, cleaning brush. To know more about the differences between all the Roborock robot vacuum cleaners click here. For those who are confused about the Xiaowa naming, please read this out. 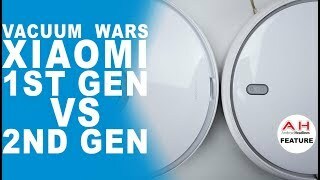 The Roborock Xiaowa E2, E20 and E25 is the same robot vacuum. The second number stands for the color option. The Roborock Xiaowa E20 is a cleaner that comes in white color. 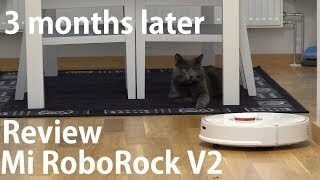 The Roborock Xioawa E25 is the same Xiaowa E20 only it is dark grey. No more differences between them than a color option. What about the Roborock S5, S50, and S55? The same situation about a color option. The Roborock S50 is white; the Roborock S55 comes in black color. The Roborock S5: it uses LIDAR with an LDS laser located inside its tower. It scans the room creating a map and three processors inside help the robot to build the most efficient way of cleaning. The plan can be seen on the app. The robot saves one created map. Xiaowa E20: it is equipped with a double gyroscope inertial navigation system, combined with dual optical motion tracking. The robot recognizes walls and corners and creates a map. The map shows the obstacles and barriers that were identified by sensors. It is not as detailed as the one generated by the laser nevertheless the Xiaowa's maps are more or less accurate. You can see the map on the app. Unfortunately, you can't do anything with the plan. Every time the robot cleans the map gets regenerated once again. The Roborock S5: the app allows to create virtual boundaries as many as you'd like to. There is also an ability to set zoned cleaning to make the vacuum working within the areas you've chosen. You can tap on the map to send the device to a specific point. The Roborock S5 and Xiaowa E2: the water tank can be inserted by sliding it underneath. It holds about 150 ml of water and can work in this mode for about 60 minutes until the container gets dry. Unfortunately, the manufacturer didn't mention how much of the liquid the Roborock Xiaowa's water tank holds. The Roborock S5 comes with a stronger suction power (2,000 Pa vs. 1,800 Pa). The Roborock S5 works 150 minutes when the Roborock Xiaowa lasts about 100 minutes in one charge. The S5 comes in white, black and rose-gold colors. The Roborock Xiaowa is available in white color (E20) and dark grey (E25) colors. 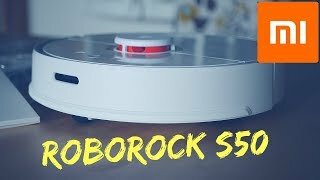 The Roborock Xioawa is a bit louder than the Roborock S5. Virtual walls and zoned cleaning can be set only in the Roborock S5. The Roborock S5 is taller because of its tower. It means the robot cannot go under some places. The Roborock Xioawa has a bigger 640 ml dust box that holds more dust and dirt. The Roborock Xiaowa is cheaper than the Roborock S5. 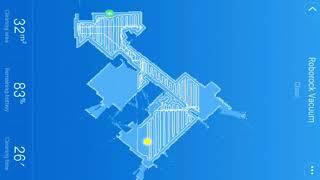 The S5 stores one created map; maps created by the Xiaowa E2 disappear once the robot finishes cleaning. 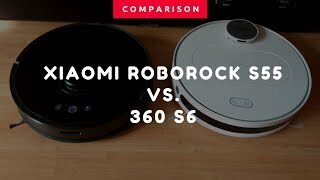 Roborock S5 vs. Roborock Xiaowa E20: which one to buy? It might be challenging to choose the best robot in the Roborock model line. Let's try to figure out which one would be the best for you. 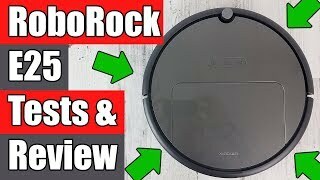 Roborock S5 is among our top 12 vacuum cleaners of 2019. It is one of the best robot cleaners on the market that is efficient, powerful and smart. It is suitable for big homes, any surface type, pet hair, etc. Though the Roborock S5 might be pricey for those, who are tight on budget. LIDAR helps the robot to save cleaning time. Instead of randomly running over the house, the vacuum navigates in straight lines based on the map it created. Remember, it is a flagship model that competes with such robot cleaners as the Neato D7 Connected, Roomba i7, etc. 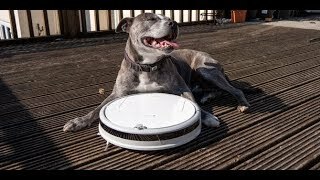 However, if the price suits you - the Roborock S5 is a great robot vacuum worth buying. 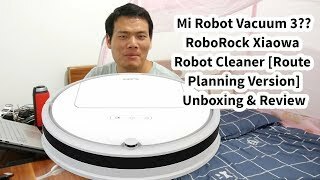 Roborock Xiaowa E20 is one of the best budget robot cleaners. This robot was also featured in our top 12 robot vacuums for different cleaning needs as the best for thicker carpets. Since it has an excellent climbing ability of 20 mm, carpet boost (a few models on the market have it), and strong suction - the Xiaowa E2 is ideal for homes with carpets that are not thicker than 20 mm. It is able to get rid of pet hair and performs flawlessly on bare floor. The Xiaowa is the only model among budget robot cleaners that is able to clean thicker carpets. And, the robot also is equipped with a water tank to mop hard floors. Yet it lacks some features such as digital boundaries and zoned cleaning. Also, the Xiaowa E20 is not suitable for bigger homes, it is perfect for small and average households. 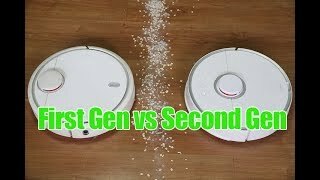 If you do not look for some extra bells, live in a not a big house - go for the Roborock Xiaowa E2, it is the best budget robot vacuum in the industry so far.